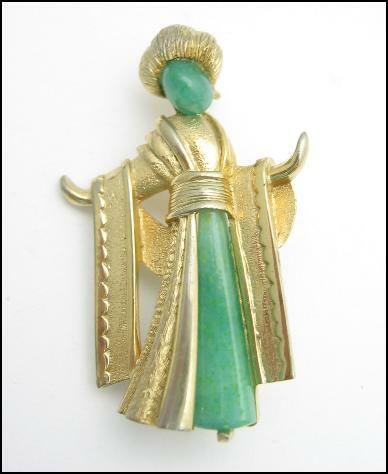 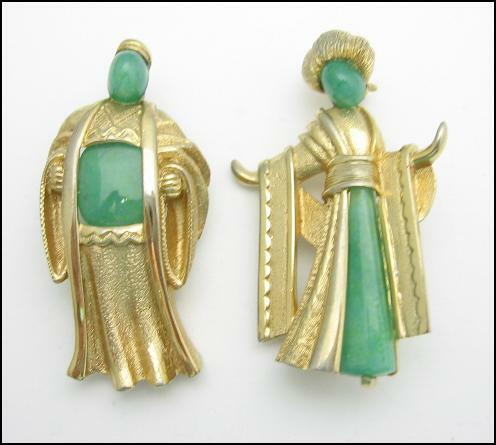 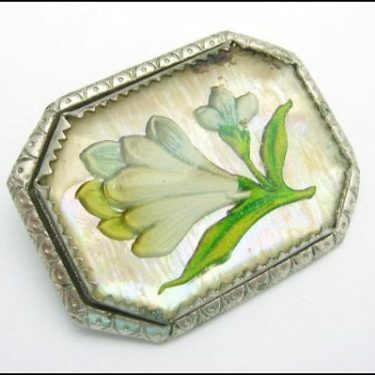 Designer signed MARVELLA, this is a vintage matched set of ORIENTAL FIGURE BROOCHES! 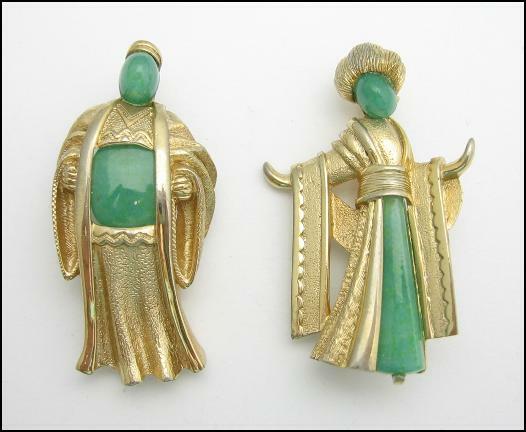 One brooch is the man and the other is the woman. 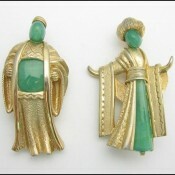 Both are in oriental style dress. 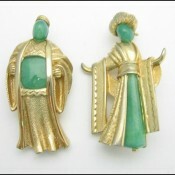 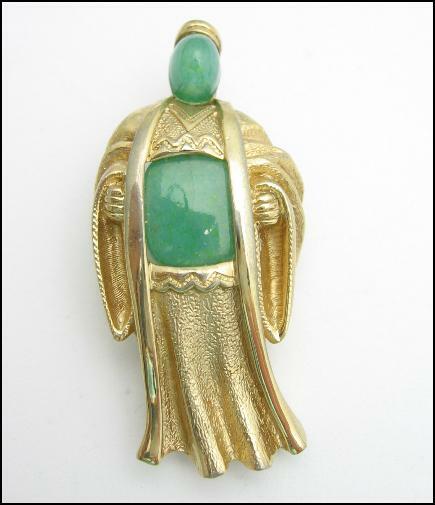 In a goldtone metal, they each have an oval Jade stone for their faces and a piece of jade in their clothing. 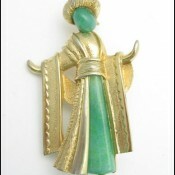 SKU: 1021. 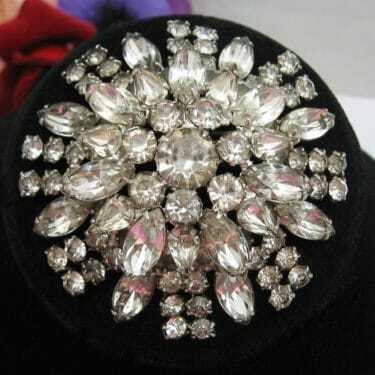 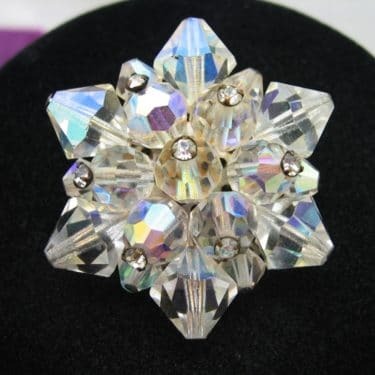 Categories: Brooches/Pins, Designer Signed, Sets, Parure, Demi Parure. 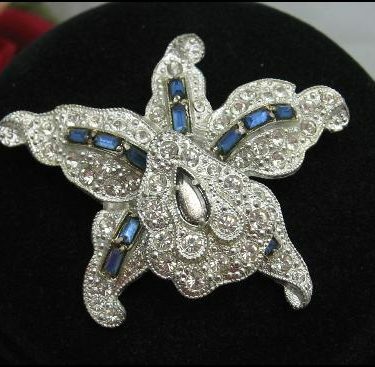 CONDITION: These brooches are in used condition. 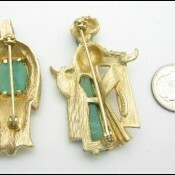 The clasps are in full working order. 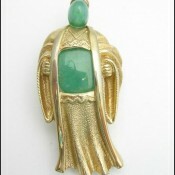 All pieces of jade are present. 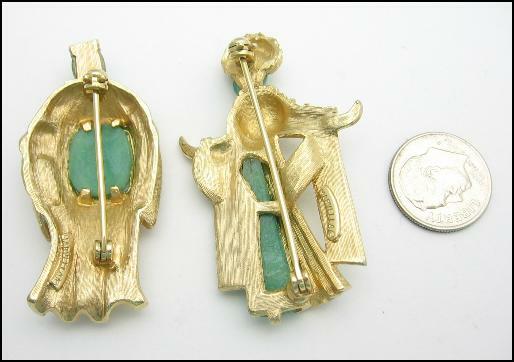 There is some scratching and finish wear.